Coffee shops in Seattle's Fremont neighborhood are abundant. I visited Seattle and stayed in Fremont on business in July 2017. While there, I discovered that it was possible to have excellent coffee at a different cafe every day of the work week. What does Seattle's Fremont neighborhood have to offer? 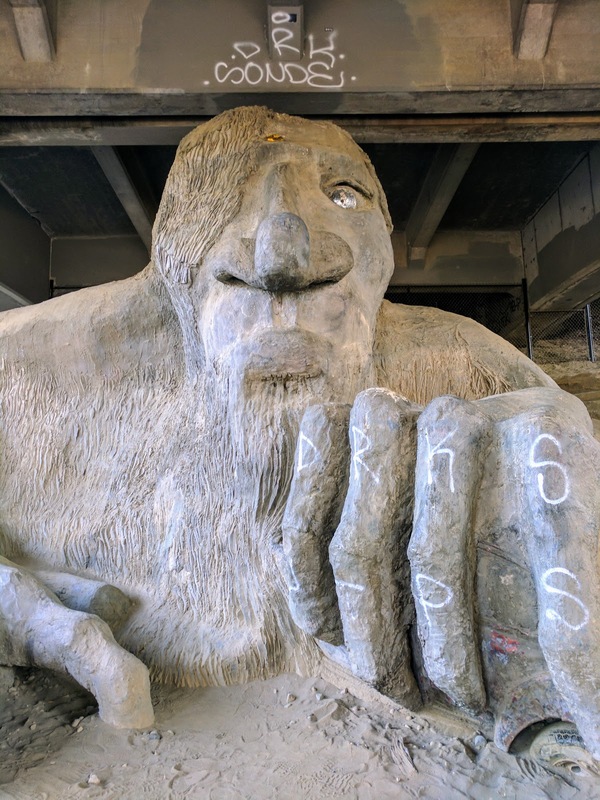 Fremont is best known for the Fremont Troll, an art installation under a highway overpass. Fremont is also known for communist imagery. A statue of Lenin (salvaged from Czechoslavakia in the early 1990s after the Velvet Revolution) sits at a prominent intersection. 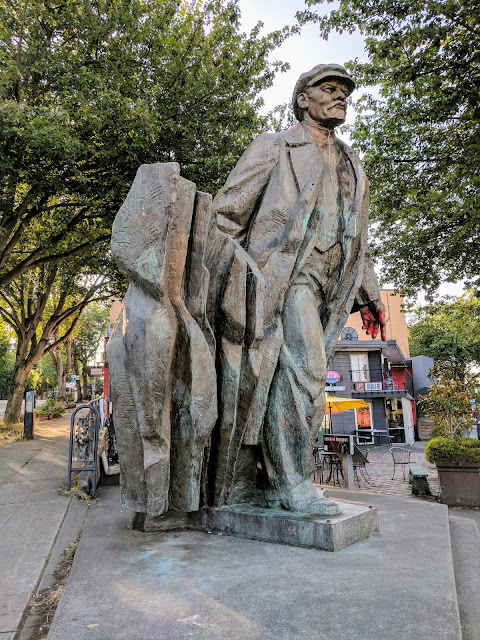 The statue of Lenin is a polarizing figure in the neighborhood. So we have the Fremont Troll and some communist imagery (both feature in my post on how to spend a perfect Sunday in Seattle). In my opinion, the best reason to visit Fremont on a trip to Seattle is the coffee. Read on to hear about my impressions of five coffee shops in Seattle's Fremont neighborhood; one for each day of the week. 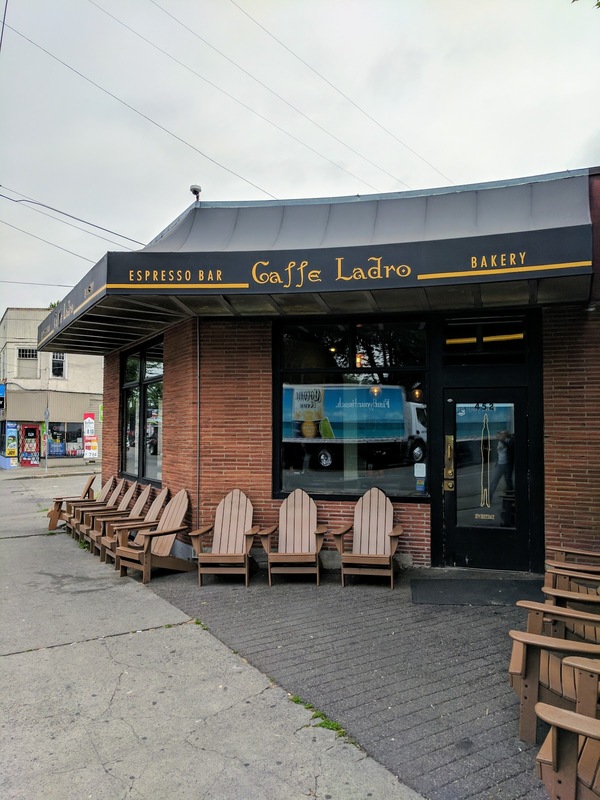 Caffe Ladro features sustainable coffee beans plus tempting treats. I ordered a cappuccino that packed a punch and was served in a sleek black mug. It was a nice way to start the day with coffee and a chat in a cozy Fremont cafe. 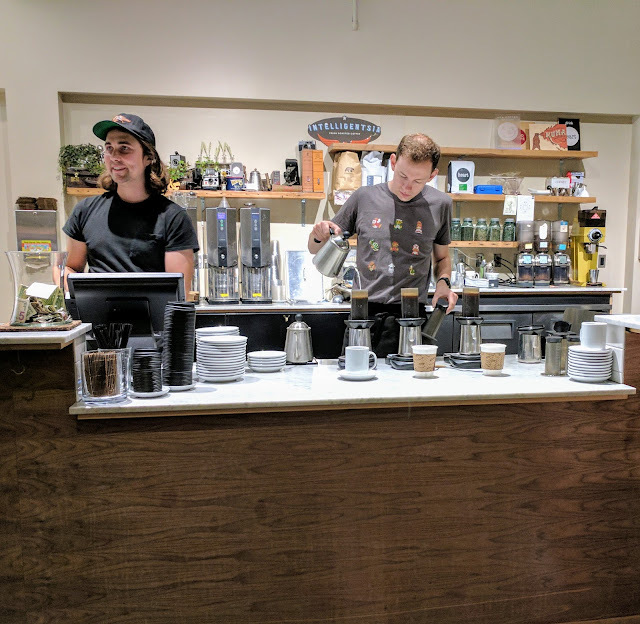 I visited Fremont Coffee Company with a few of my colleagues. 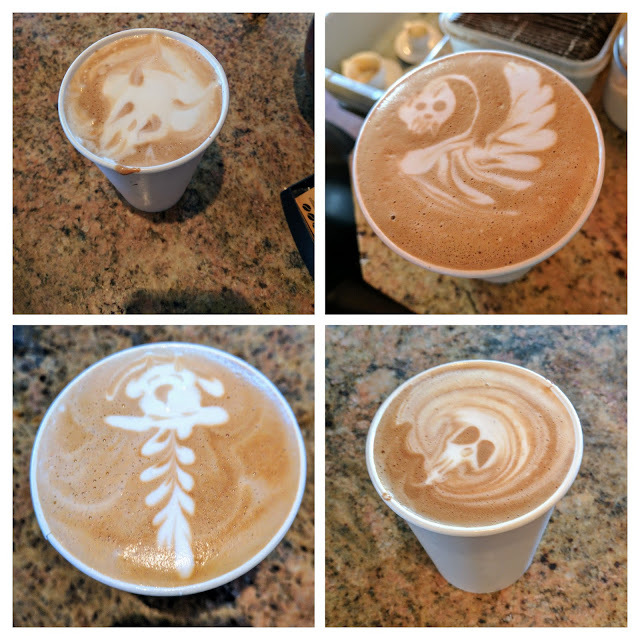 I'm so glad we did since the latte art here is so awesome and edgy. Each design was different. The barista accidentally rang up only three of our coffees and then gave us the 4th one for free saying that we should just pay it forward somewhere else. You might expect that a coffee shop that serves skulls and demons in your froth might not be the friendliest. In this case, we couldn't have been more wrong. 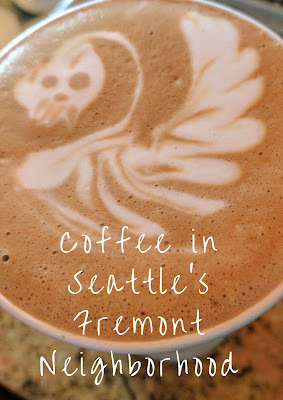 Fremont Coffee Company was an awesome addition to our tour of Fremont coffee shops in Seattle. 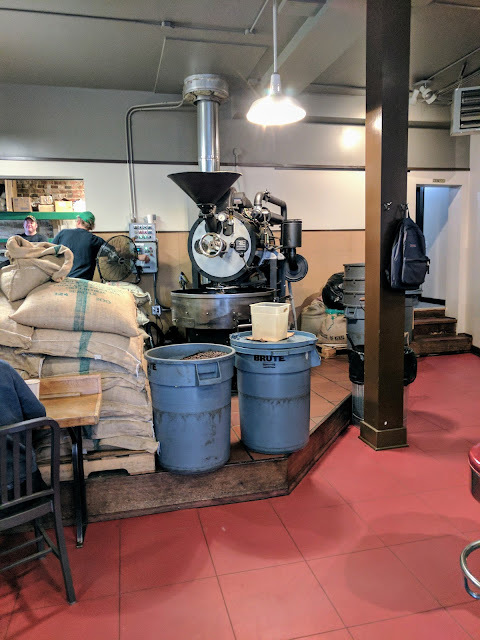 Lighthouse Roasters roasts their beans right on the property. Located a bit further north in the Fremont neighborhood, it's a good spot to pick if you're looking for a longer walk before work. Try the coffee and then buy some beans to take home. 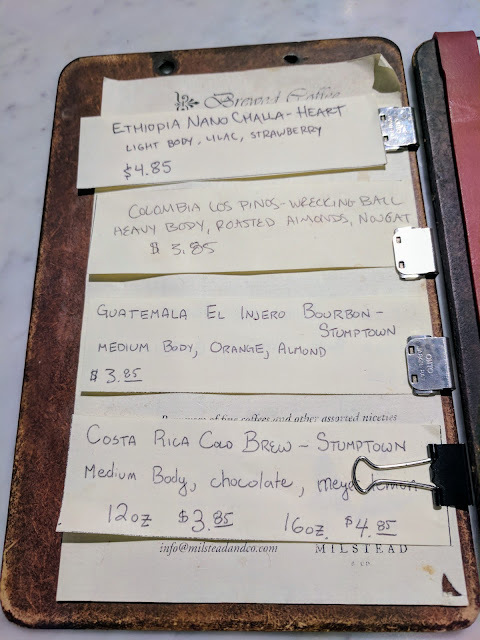 Milstead and Co had the most high-end menu of any of the coffee shops that I visited in Seattle's Fremont neighborhood. 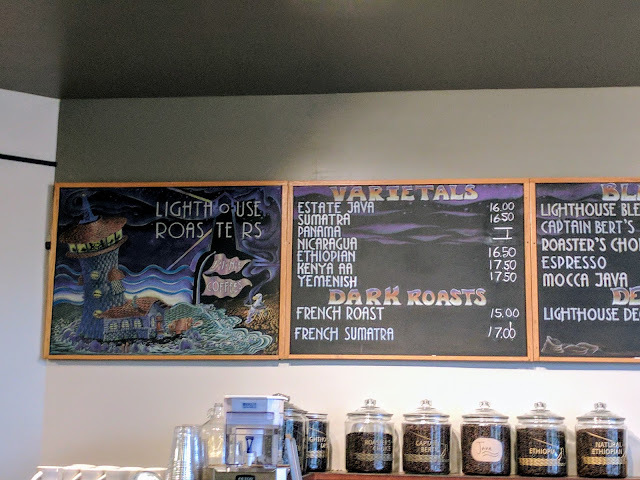 A hand-written menu described the various single-origin roasts. The helpful staff prepare the coffee with great attention to detail. 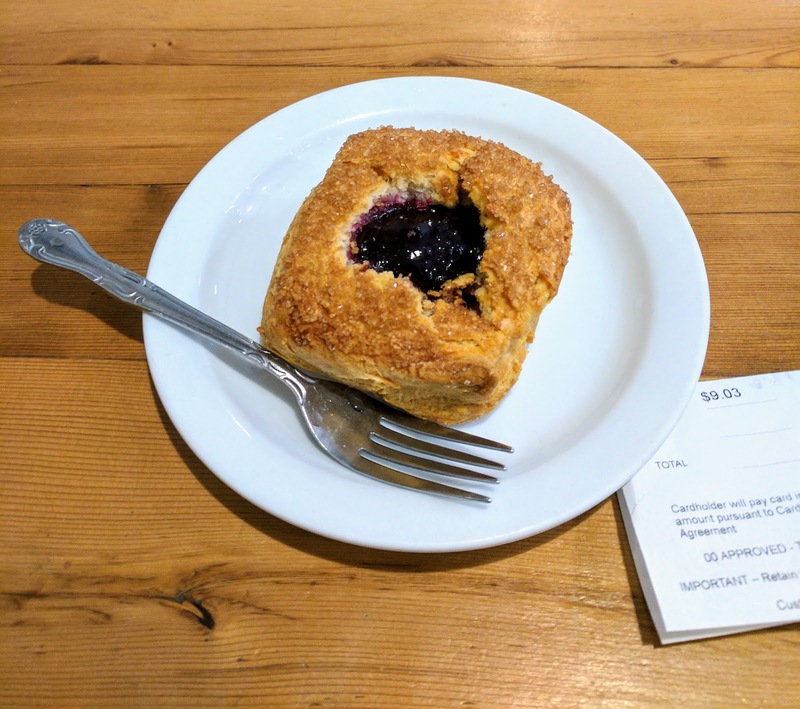 I paired my pour-over coffee with a marionberry scone. The sweet pastry was the perfect counterbalance to the black coffee. 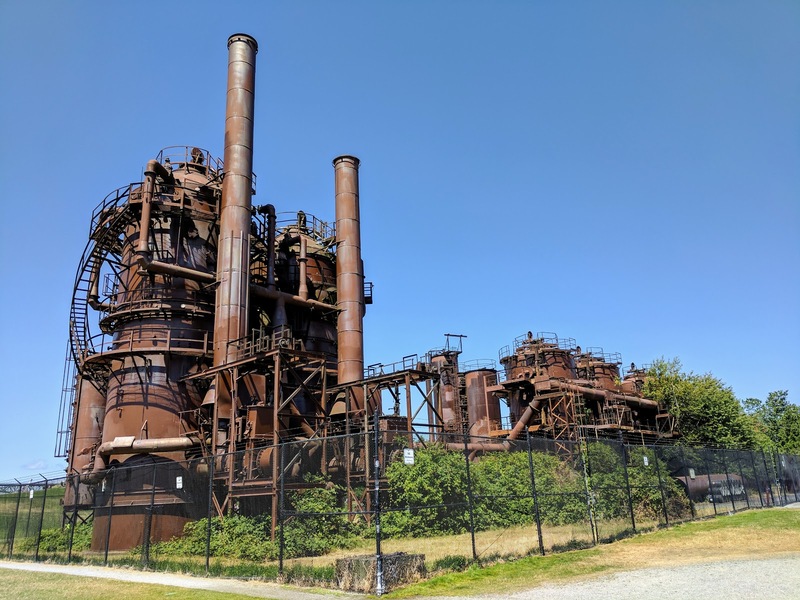 Another quirky attraction near Seattle's Fremont neighborhood is Gas Works Park. The centerpiece of the park is a fenced off site of a former oil plant. The park features sweeping views of Seattle. From the Gas Works, I walked all the way to Vif Wine|Coffee. Housed in a sleek white building that looks like it could have been a fast-food drive through, you can get a high end black coffee served with quiche and salad. I was so hungry but the time I got to Vif that I completely forgot to take a picture! Nonetheless, it's worth a stop on your coffee tour of Seattle's Fremont neighborhood. 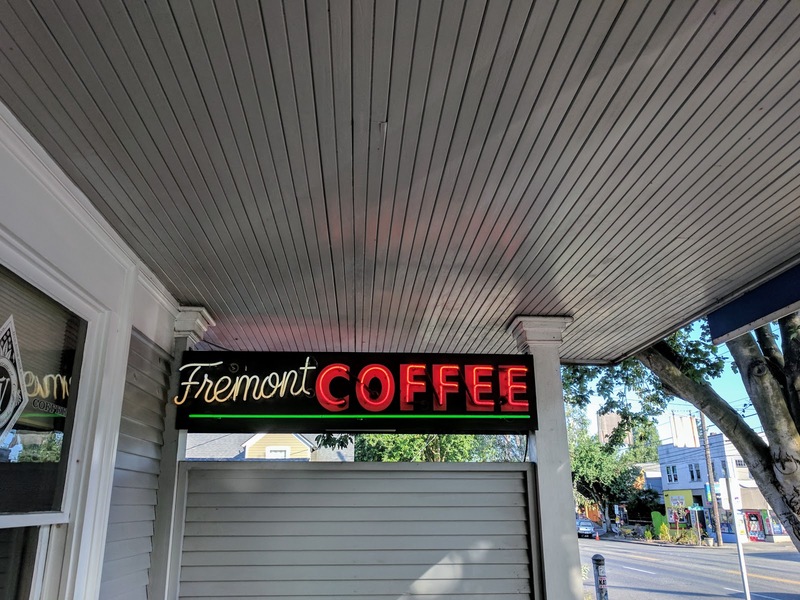 There you have it...five coffee places in Seattle's Fremont neighborhood worth visiting (one for each day of the week). What are your favorite coffee places in Seattle? Looking for other cities with serious coffee cred? Take a walk and sip some of New York City's finest brews along the High Line or check out Sydney's serious coffee culture. 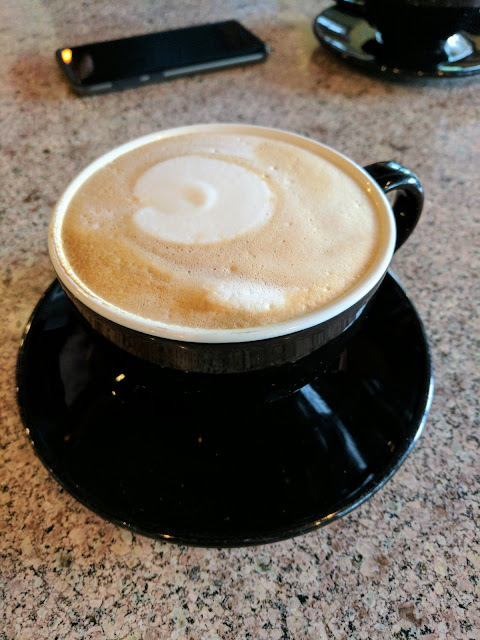 Read about coffee shops in Seattle's Fremont neighborhood to get your caffeine fix every day of the week. A photo-rich post by travel blogger, Jennifer (aka Dr. J) from Sidewalk Safari.